The Naveen School was again quite active with the onset of winter. The results of the half-yearly exams conducted in the previous month were distributed on 21st November. 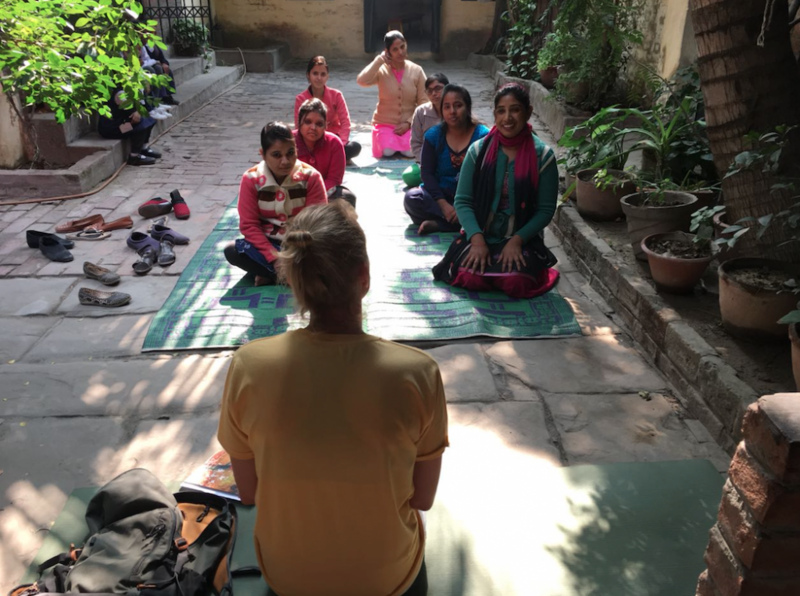 Sandra from Holland volunteered for yoga classes the second time.This helped the teachers to practice simple asanas (yoga exercises) and then later teach to their students themselves. 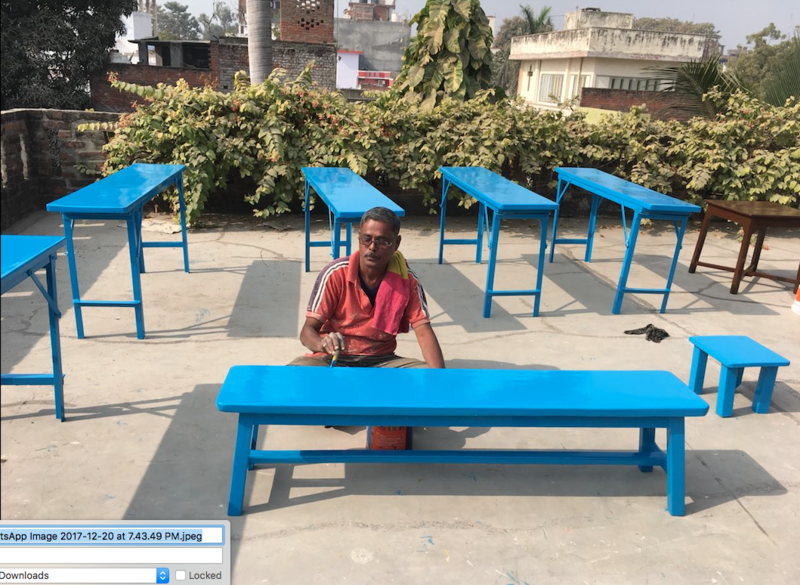 The students and teachers have now begun the preparations for Annual Function which will be happening in spring 2018. The teachers are already preparing skits and dances for the upcoming function. Meanwhile, we have been preparing and waiting for Santa Claus to come again this year. 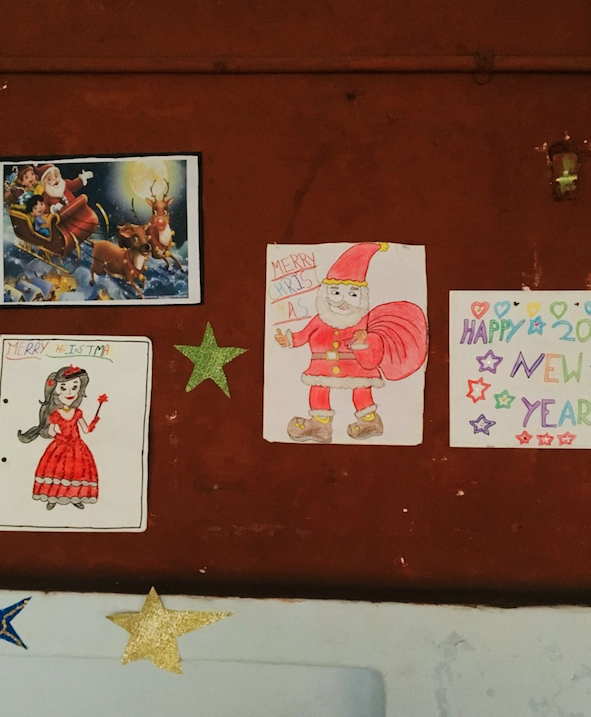 The students have decorated their classrooms with self- made arts and crafts. 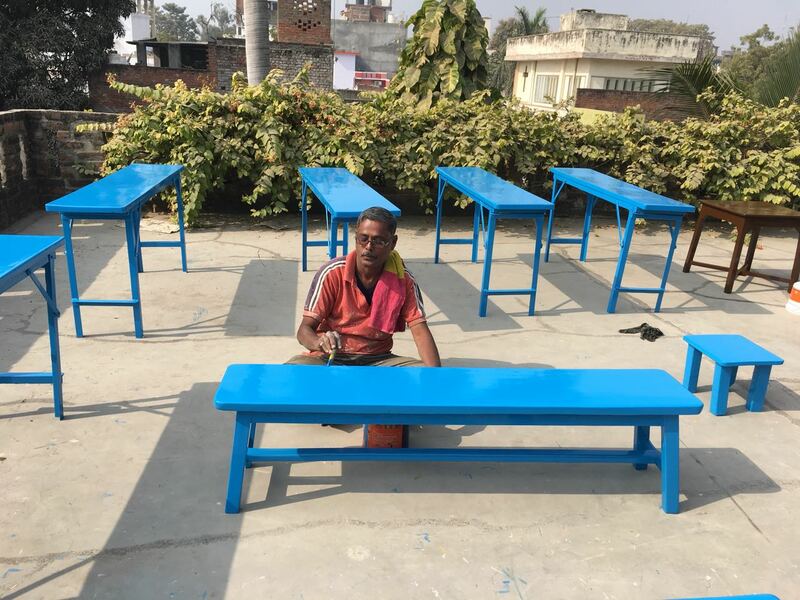 Before the winter holidays are starting, we have also started to get the rest of the school benches and tables painted. We are very grateful for everyone’s support and well-wishes during this year! The team and all students of Naveen School are wishing everyone a peaceful holiday season and a joyful and successful New Year 2018!